There are many materials, styles, and designs right now that are perfect for increasing the value and aesthetics of your home at the same time. Whether you’re looking to include more sustainability into your style or you just want to add a little more dimension to your interiors, take a look at these 5 interior home design trends to help get you closer to your goals. Trends in home design have been focusing on open format layouts for the last several years. And while this creates a more dynamic home visually, it also means a lot of echoes and noise. That’s where acoustic paneling can help. 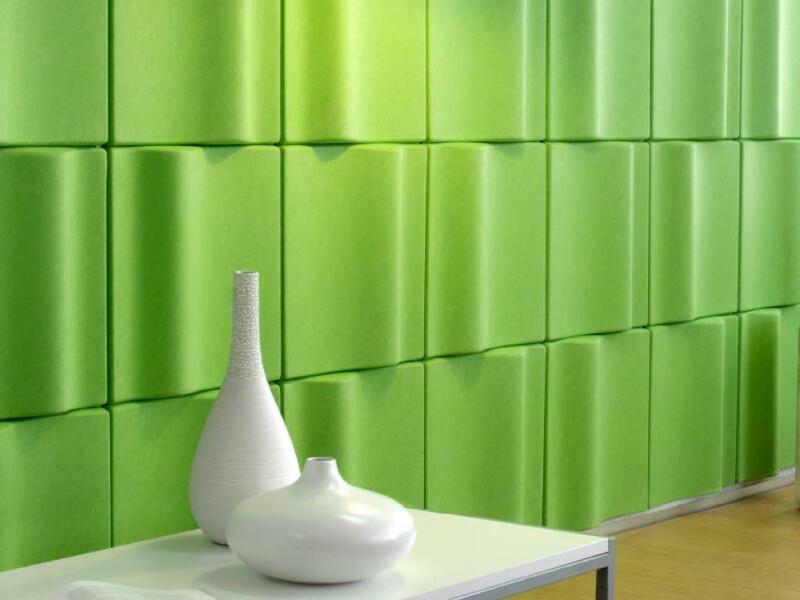 Acoustic panels can reduce those echoes and noise pollution to give you a quieter, more enjoyable space in your home. Today’s acoustic panels are also dynamic and interesting in design. You can find them in geometric tiles, bold colors, and interesting shapes that will complement your style and provide you with a visual accent while they help reduce the noise in your home. If you love the look and feel of real wood, consider adding some modified wood to your home design. Used on walls, ceilings, or as accent panels on islands or bookcases, modified wood can add a rich color and dimension to your style. Modified wood is a softwood that has been treated with a bio-liquid to make it harder and more durable than most hardwoods. Because softwoods are more sustainable, you can include the beauty of real wood without the worry of its impact on the environment. And because of the product’s durability, you can enjoy its looks and style for years without a lot of upkeep or maintenance. If you have blank walls in your home, now is the perfect time to brighten up your décor by investing in some canvas prints to hang on them. Canvas gives more dimension and interest to ordinary photographs, turning any wall in your home into an instant gallery. With filters such as sepia or black and white, along with a variety of sizes and wrapping options, you can create a one-of-a-kind piece of art that is sure to create a focal point in any room of your home. If you want a way to add a little color or detail to your home without an invasive makeover, adding a few canvas prints is a fast and effective way of doing so. Another way to give your home a style makeover without any major renovation is to invest in new furnishings. Solid wood, handmade furniture like Amish furniture, is a great addition to many interiors. Amish living room furniture has very clean, classic lines without a lot of ornate details, which means that it can work well in nearly every style from traditional right through contemporary. Consider lightening up your interiors with some light, warm-toned wood furniture. Pick up the lightest tone from other wood you may already have, such as hardwood floors, to get a cohesive look that will brighten up your home, and give it the style makeover you’re looking for. Wall panels make an interesting and fast addition to any room, adding a focal point and dimension at once. 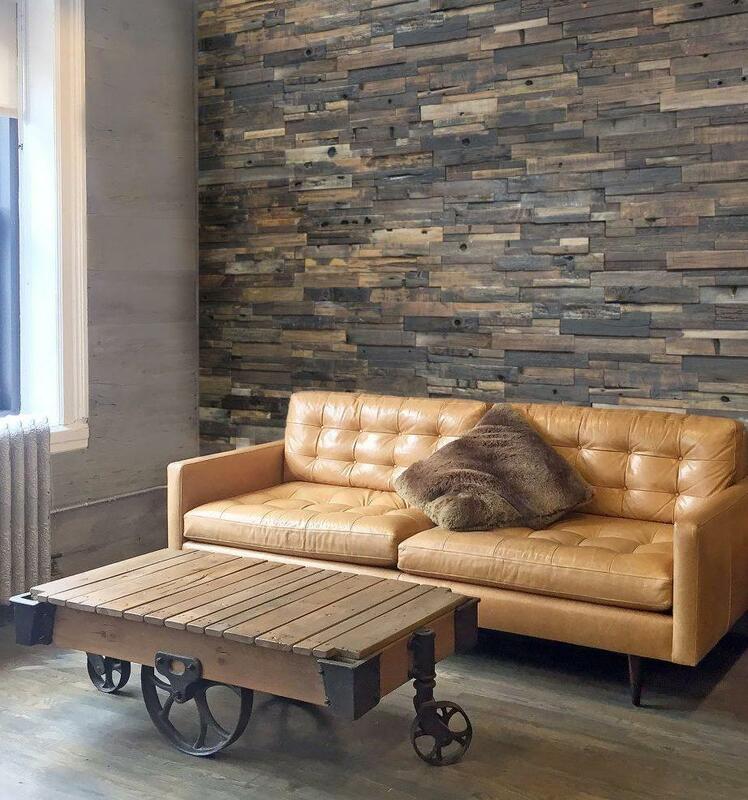 Reclaimed wood wall panels also add some history and interest at the same time. Reclaimed wood can come from many sources, and may show the marks of its previous life, creating a conversation point for the room as well. With the many tones the wood panels can bring, you can also gain a lot of different colors and textures to choose from to update the rest of the room at the same time. Give Your Interiors a Makeover in the New Year. If your home interiors have been looking a little bland, consider giving them a fresh new look this year with any of these five trends. Choose one or all five to help breathe new life into your home and get the style makeover you really desire.